Want to buy a Hp Pavilion adapter at a low price in the UK? then explore our online store @ www.uklaptopcharger.co.uk. 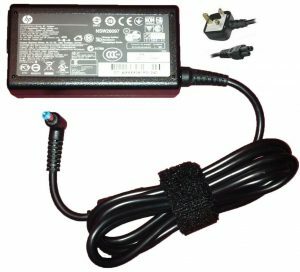 This Hp Pavilion 15-n230us Charger supports a (Smart Technology) which charges your battery 3 times faster than Replacement Adapter. when it comes for compatibility, our adapter fits great with (Pavilion Laptops) and comes with Free Power Cable. The Output voltage of this power supply is (19v 2.37a 45w). Click Here to start Live Chat for an EXTRA 10% OFF. Please unplug your charger once your battery fully charged. SameDay Dispatch for all orders at 5 pm. we use Royal Mail, UPS, Hermes, UKmail, etc. We provide 14 days Money Back Offer with each item in case of wrong and defective item received.